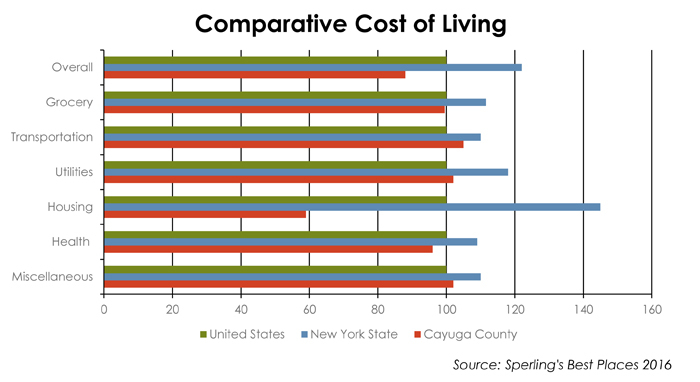 Residents of Cayuga County enjoy a lower cost of living in comparison to the rest of New York and the nation as a whole. This allows residents more freedom to take advantage of the county’s and region’s many assets, from recreational opportunities to higher education. Cost of living based on US average index of 100.